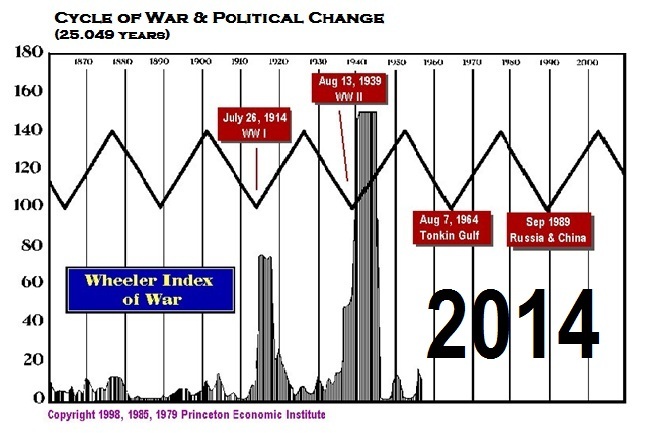 When people heard for the first time that we had developed a Cycle of War that pinpointed the start of World War I and II, as well as the Vietnam War, among many others, many assumed it was hype. Our long-term clients know better: we never sell hype nor do we exaggerate things to sell anything. We are probably the best funded forecasting firm in the world and have always been so. We do not have to engage in wild claims like “Gee, if you bought this subscription for just $49.95, you could have made $1 million.” Such advertising claims give you less than what you pay for. 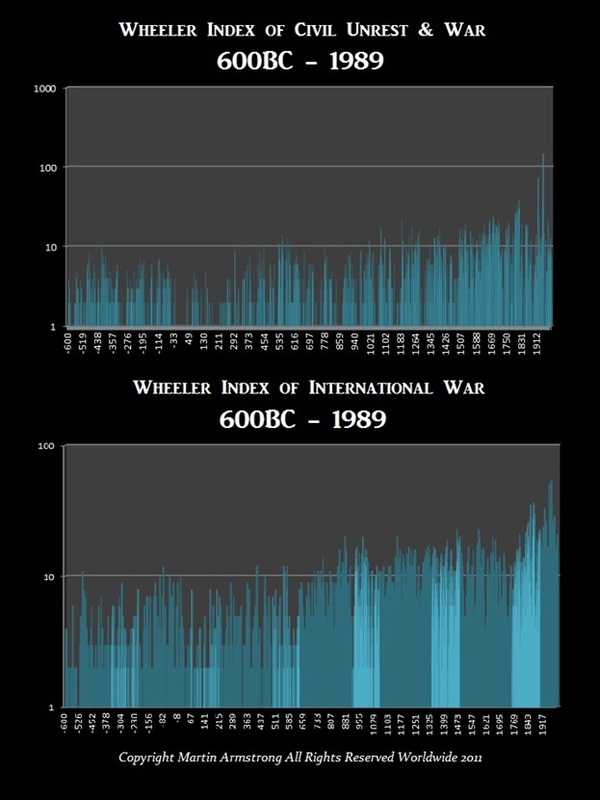 Our Cycle of War turned in 2014, and since then the Cold War has returned and civil unrest continues to rise. On top of that, we have Brussels effectively doing what Napoleon and Hitler desired –– the conquest of Europe –– but by force of law rather than the gun. Nevertheless, they seek the same goal: a single government and the abolition of independent sovereignty. This 2014 turn is far worse for it is the conjunction of both civil unrest and international war. If there were any forecast we truly pray is wrong, it would be this one. Our long-term clients expect the truth about our model. That much we are compelled to deliver regardless of what it has to say. 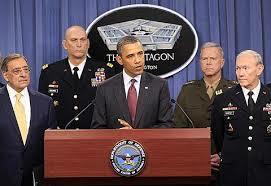 It seems Obama is intent on creating World War III on a global scale. After all, he was given the Nobel Peace Prize for being the first black president, not for anything having to do with actual peace. I truly do not understand why Obama has been the worst president perhaps in history. He is seriously deranged and will create war with just about anyone. Obama’s Pentagon has published a new military doctrine for the U.S. For the first time since 2011, this doctrine has been reformulated and new threats are defined. The most dangerous threats are Russia, China, North Korea and Iran in Obama’s view of the world. U.S strategists consider these countries as new hazards that need to be considered with the same attention as the current threat of Islam extremists in Near East. Obama’s Administration admits, “none of these states is looking for a direct military conflict with the United States or our allies.” Nevertheless, these countries represent serious threats to the security of the international community. The Obama Administration classifies China as a threat of a different quality, so they see China as less aggressive than Russia. A few weeks ago, Germany also adopted a similar new military doctrine that should be defined in the coming months. It is envisaged that Russia is one of the central concepts of the enemy for the Bundeswehr. It is clear that this Cycle of War model has been right on target. It is part of the global correlation of everything. This is by no means a forecast we would like to see come true. We must respect that this is a major convergence of two separate models: domestic civil unrest, as well as among nations. « Athens: The Prelude to Freedom or Perpetual Economic Servitude?